and gives me her best flirty eyes! 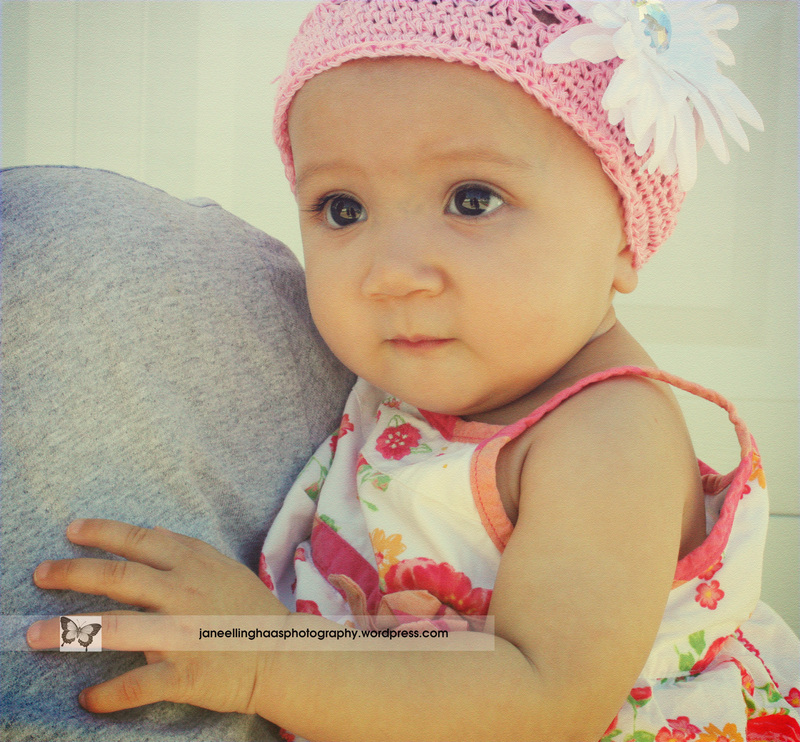 Be sure to check out all the beautiful b&w captures for this month’s challenge at i heart faces! 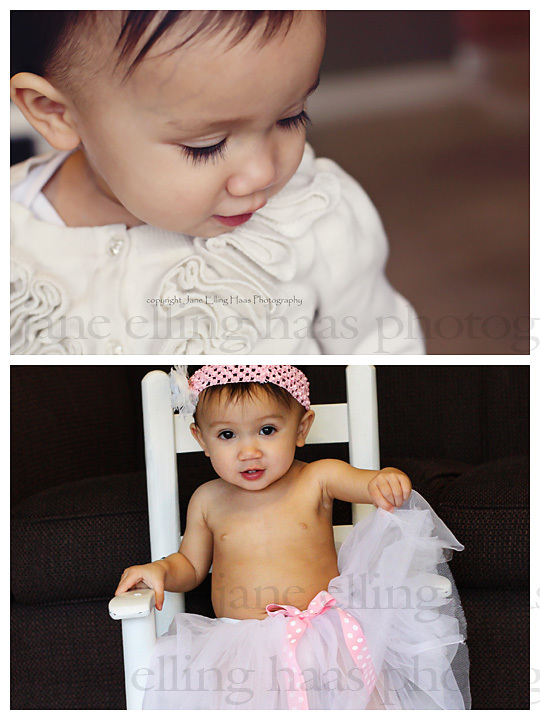 Little Miss Ava Is ONE! A bundle of energy! A petite princess! 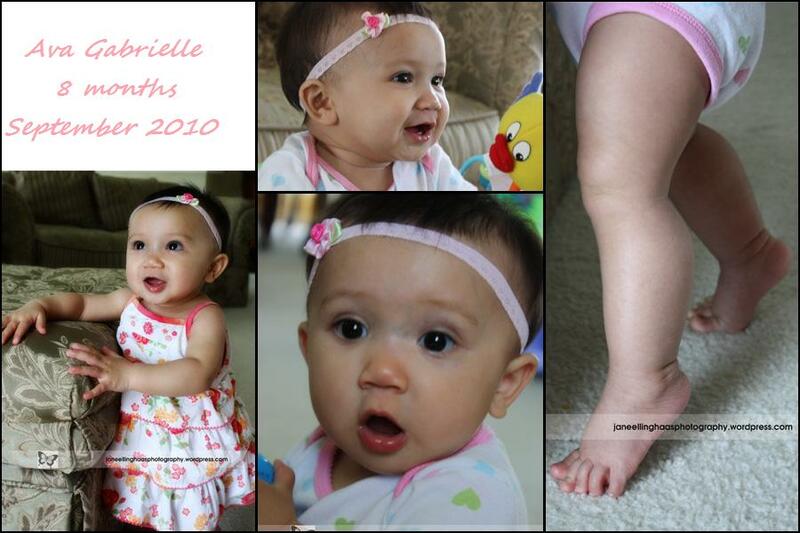 An angelic one-year-old! 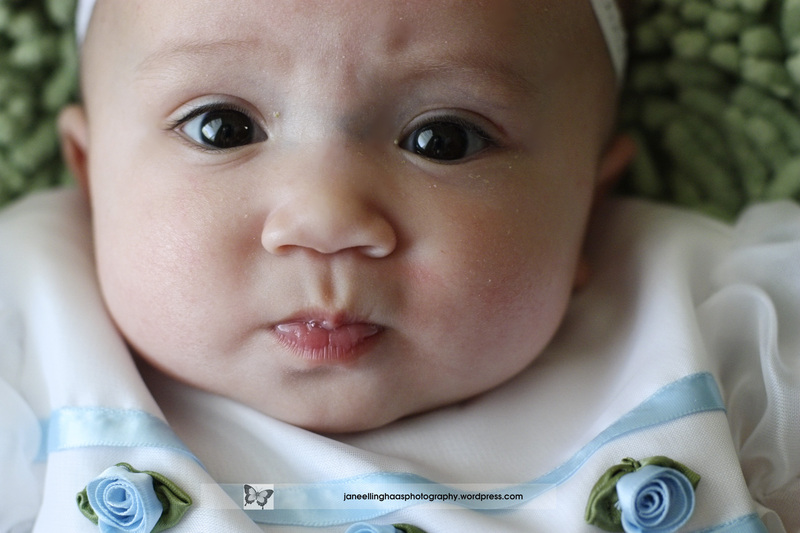 This is Miss Ava Gabriella! 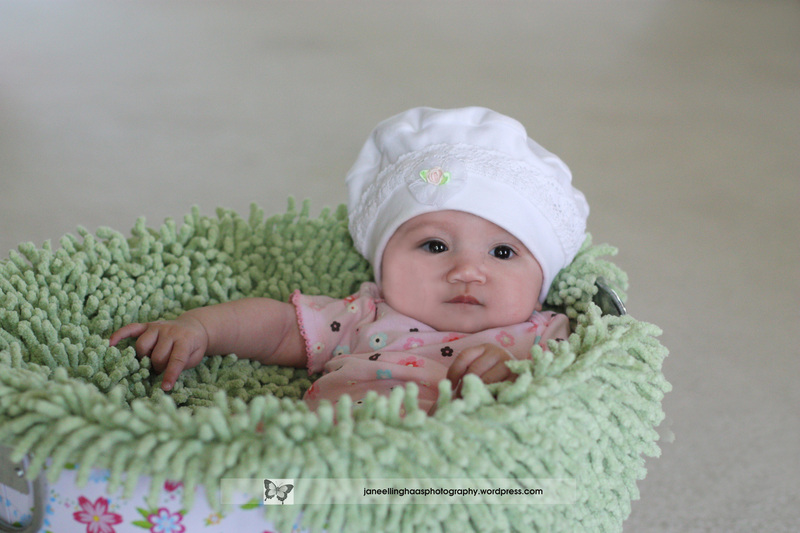 Ava, it seems like yesterday I was shooting your newborn photos! 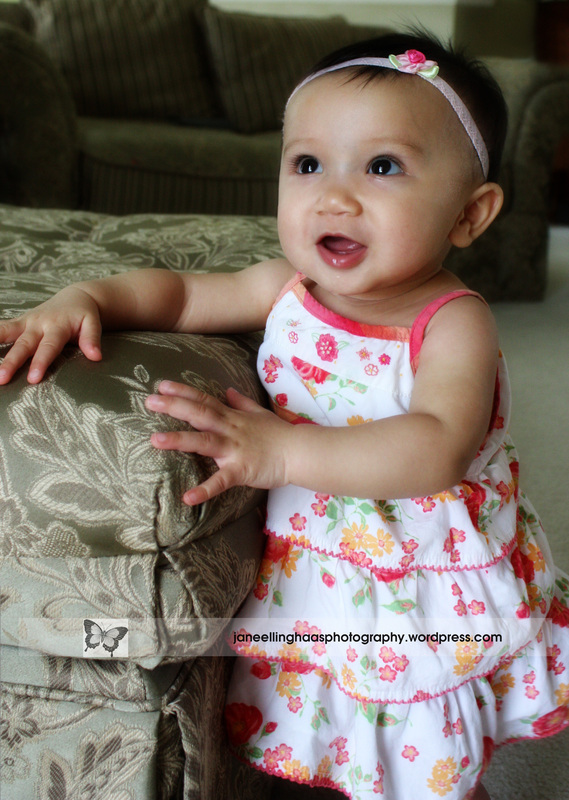 Now you’re quite the little model, showing off your climbing and balancing skills, sharing your gray puppy with me, looking so cute in your dressy dress, girly tutu, and even just a diaper. 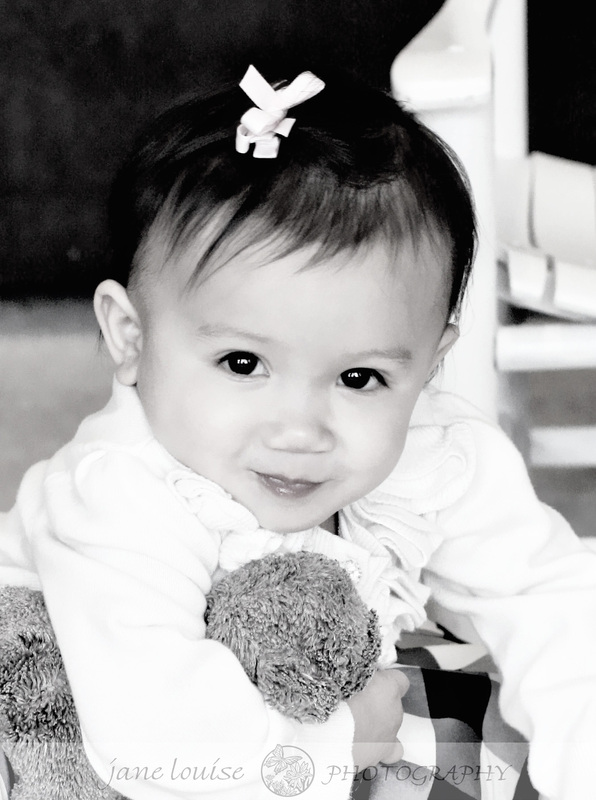 Happy first birthday, dear Ava! I’m enjoying watching you grow & learn new things — catching you sticking out your tongue at me and teasing me with your toys — and getting your photos for your family. Now don’t grow up too fast, please! 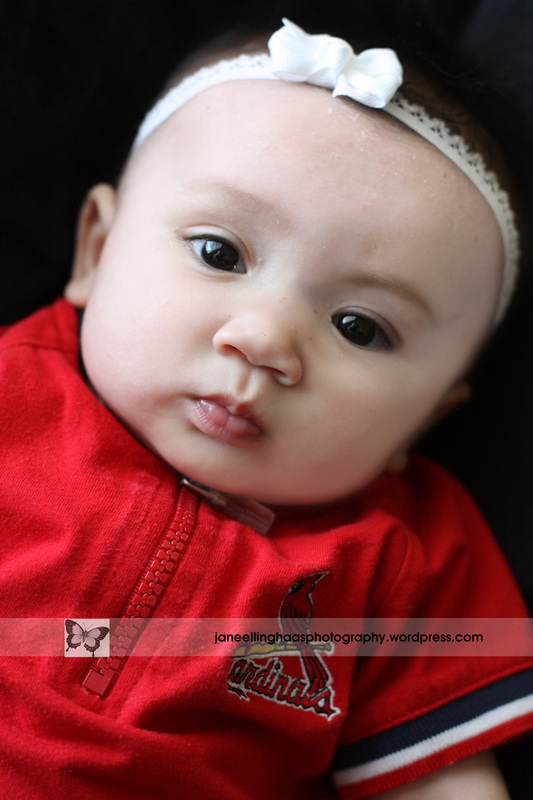 These are samples of the four-month photos from my marvelous morning with Ava. 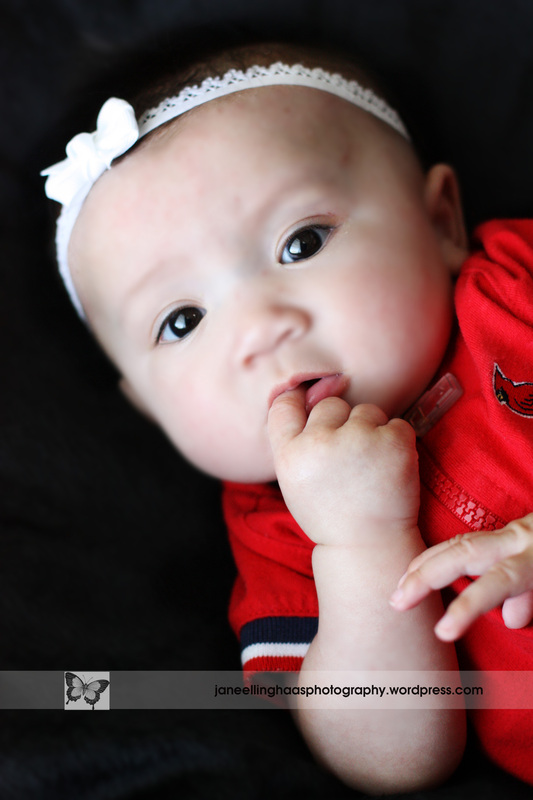 Her family has transformed her into a real Cardinals fan! 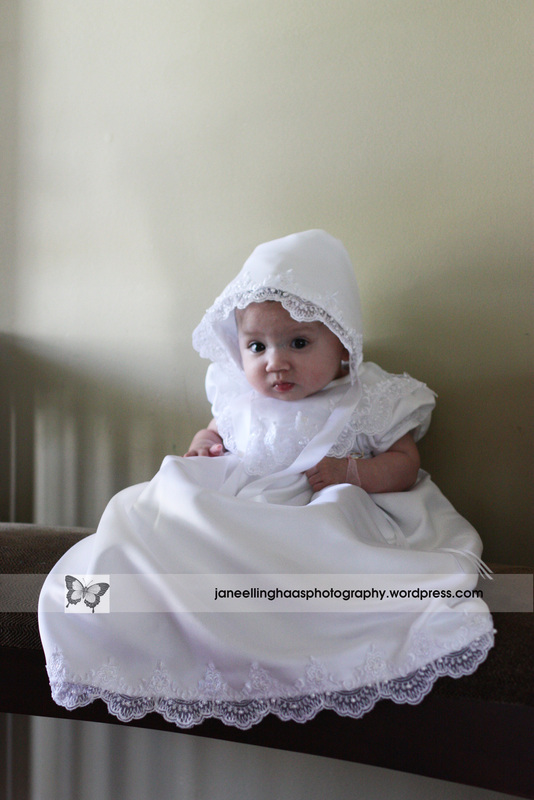 Here’s a close up in her Easter dress … and a serene capture of her in her baptismal gown and cap. What a doll she is! 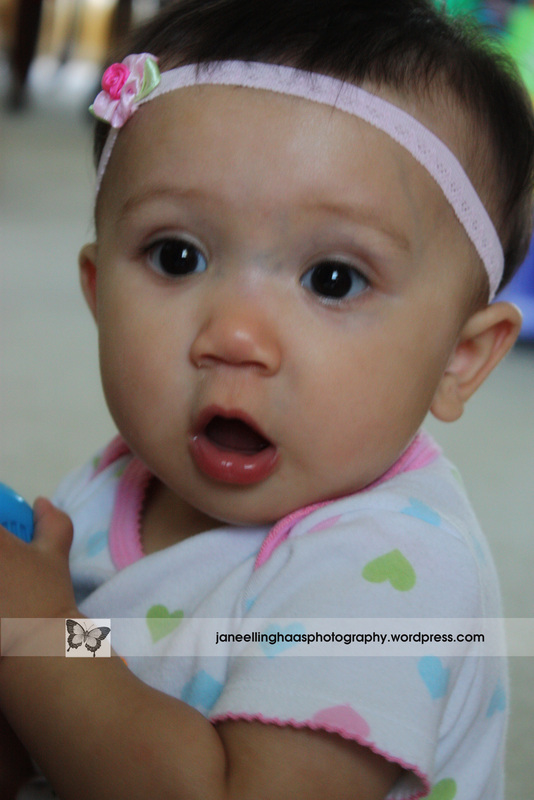 I hope to capture more of her dear expressions as she grows. And maybe get a smile next time?